Lately, it seems like my Facebook feed is filled with so much sad news. A young mom died and left 2 children and her husband in distress (emotionally and financially). A father was taken away suddenly from his family at a young age. So much tragedy and loss. While I try to concentrate on positive things during my day, these news stories get to me and RAISE some serious concerns and questions: WHAT will happen to my family if I die? Will my husband have enough to cover my funeral costs, pay the mortgage and leave him enough money to help him raise our children? I am sure his salary will cover for all the family basic needs, but it may not be enough to cover the kids’ tuition, unplanned expenses, etc. After all, our budget is based on two income streams: Mine and his! These concerns encouraged me to take the appropriate actions to protect my family. I know it’s not exactly an exciting thing to do- planning for my potentially untimely demise- but I don’t want to add a financial burden to my family in times of grieving. So I decided to buy life insurance. Once my decision to buy life insurance was made, I had to get a quote. I was clueless until I was recommended to Canada Protection Plan. It took me few days to get the courage to call. Who likes discussing their death? I don’t! But then the thought of leaving my family in financial distress gave me enough courage. I called and let me tell you this: It was the best call of the week. I felt so relieved after. And this is why! The insurance representative (who I named him: Mr. Patient because I asked him LOTS of questions) noticed my nervousness and made me at ease from the first moment of the call. He started by asking easy questions: age, amount of debts, kids’ ages, savings amounts, income and so on. The questions were simple enough to answer. I did not have to dig into any financial documents to get them. In less than 10 minutes (yes, only that), he was able to determine how much coverage I needed. You know what? The coverage suggested suited my need perfectly! He suggested a 20-year plan that will pay off the mortgage, funeral costs and leave some spending money to the family. Canada Protection Plan also offers permanent coverage, but the insurance advisor did not recommend it. It was not suitable for me. I appreciated that he offered something tailored for me! Canada Protection Plan coverage starts from $1,000 up to $500,000 plus up to an additional $250,000 if death is accidental. Knowing that, I asked for a quote for two different coverage amounts. I want to know what difference it made regarding premiums. Again, the representative looked out for my best interests. He did not push for the higher coverage. He suggested the lower one since it was what I needed. How long will it take to get covered? In less than 2 weeks, you will get your insurance. Do I have to go through medical exams or tests? It depends on the coverage. I even asked him why I should consider Canada Protection Plan. He informed me that it was the leading provider of No Medical and Simplified Issue Life Insurance. They have been in business for more than 20 years. I also mentioned that my husband wants to get a quote too, and I was concerned that he may be a little old for that. He said that anyone ages 18 to 80 could apply. As soon as I finished the call, I encouraged my husband to do the same and get a quote. As he is always on the run, I informed him that the process will be fast enough and pleasant enough. So why wait? 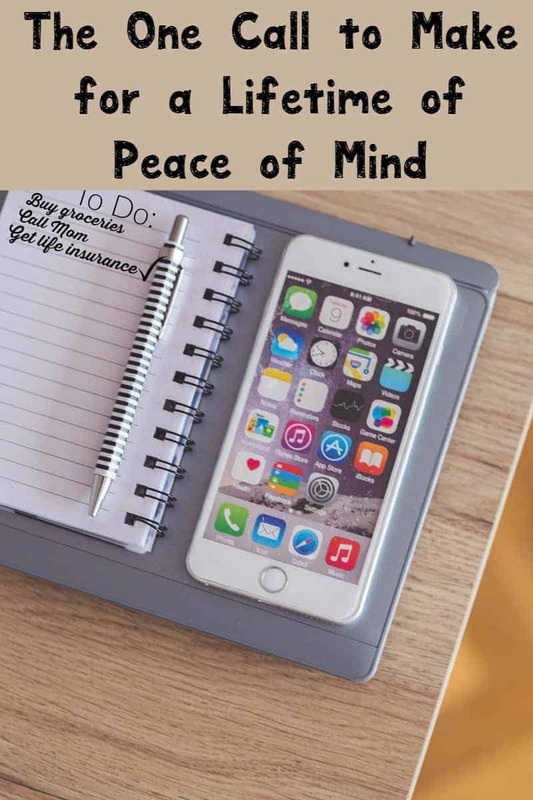 Get the peace of mind and call Canada Protection Plan TODAY to get a quote! It does not cost a thing, and it will lift a burden off your shoulders! So many young parents are dying so suddenly. It is very important to get protection so that your loved ones are taken cared of. I think it’s very important to have a protection plan (life and/or assets). My husband purchased a life insurance a while back. Having a plan in case something happens is so important. Lots of people either don’t know what to do or don’t want to think about it. I know I was one of those people for a long time. Life insurance is so important. I do not want something to happen to my husband and me be left with 3 children and nothing. We have the maximum my husband’s work offers. I’ll admit that this is something I keep putting on the back burner. It’s definitely something that I need to do as soon as possible and stop putting off. I got life insurance several years ago. You just never know when something will happen. I’m thankful that I got it a few years ago bc now I have chronic health problems. You never know when life is going to be flipped upside down. It is so important to have good coverage. I fuss at my boyfriend all the time about life insurance. We are young (35) but EVERYONE should have life insurance. I agree life insurance is important. Just as much so as a good solid saving account. I think insurance is extremely important. You never know when you’re going to need it. We should all have all kinds of insurance. Although some people don’t really see the importance of insurance, it’s still worth a try to talk to someone so that you can plan for the future. It so important not to put off purchasing life insurance. Sadly, we had a dear friend pass away this morning (only 51 yo) and I’m hoping he has life insurance for his wife and daughter. I don’t think too many people think about it until tragedy strikes! It is so true that there is so many people that are not prepared to take care of their family after they go. Life insurance is indeed something everyone should check out no matter the age. My niece just passed at the age of 19 years old. Luckily my sister and brother-in-law had a life insurance plan for their whole family. Canada Protection Plan sound like something everyone should check out. Thanks for sharing the information. It is such a sad and scary thing to have to think about, but it is SO important. I have life insurance through my employer that will go to my mom in case anything happens-I’d hate to think of leaving my loved ones without the help they’ll so desperately need. My husband and I both got life insurance. We have been the ones who have to fork out the money for unexpected funeral costs and we don’t want to leave our family a burden. My husband has a dangerous job. We made sure a long time ago that we would both be taken care of in case something happened to either of us. I never knew the importance of life insurance until we had kids. We need to get a life insurance policy started for our family. It is just a good idea and it does give peace of mind just in case something does ever happen. It is very important to have life insurance on everyone in your family. Most parents don’t want to even consider getting life insurance for their children, but you never know what the next day may bring. I completely agree on the sad news in social media and everywhere frankly. I think insurance is something people can be lax about but when there is an emergency it’s something they are glad they have. Def. better safe than sorry. I’m glad to hear it’s so easy to get information with the call! I don’t know why it is so hard to think about life insurance. It is such an important step. I guess that adds to the apprehension. This sounds super easy. It would definitely give anyone looking for coverage some peace of mind. It is so important to take care of things like this before it’s too late. I know it’s not a pleasant thing to think/talk about, but so vitally important to not leave a loved one strapped with a financial burden. It’s really important to have a plan in place! My step-mother passed away suddenly and didn’t have any insurance and left quite a financial burden on her loved ones. I would never want to do that to my family! Although so many don’t want to have this sort of discussion – it’s incredible important to have a plan in place. Especially in parenthood!